A record 80+ aviation maintenance teams from around the world plan to compete against each other in the industry’s premier annual event, the Aerospace Maintenance Competition Presented by Snap-on. The event will be held at the MRO Americas 2019 Convention, April 8-11, at the Georgia World Congress Center in Atlanta, GA. The government and industry cooperative effort to promote helicopter safety and reduce accidents and fatalities, the International Helicopter Safety Team, is now the International Helicopter Safety Foundation. Snap-on Industrial launches a new lineup of grinder and cutoff tools that are lightweight and designed for low vibration. The four new grinders and two new cutoff tools feature pneumatic motors that keep internal components cool; adjustable rear exhaust that allows the operator to direct air flow away from the work area; and a built-in air regulator to dial in the exact speed for each specific application. 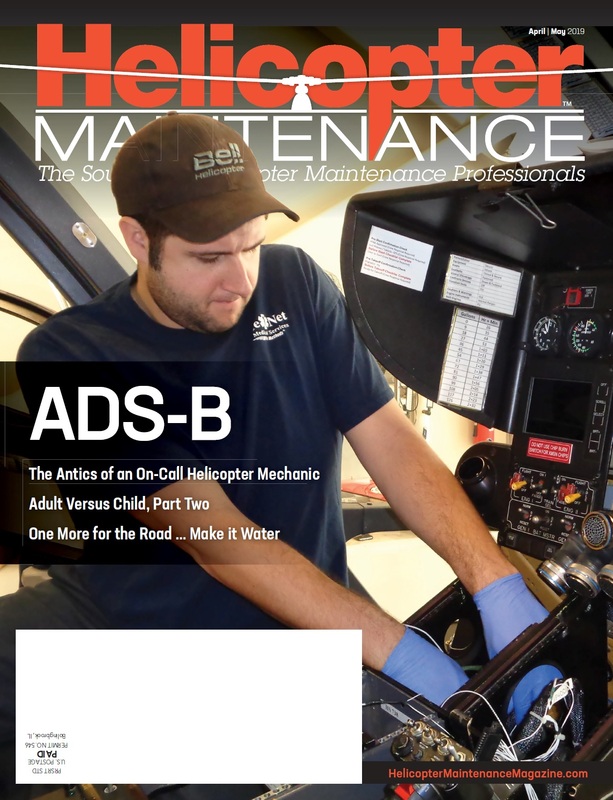 A new report by global aviation services provider, AAR (NYSE: AIR), examines the significant opportunities for the industry to grow its pool of aircraft maintenance workers and track progress through public-private partnerships, targeted recruitment and career pathways that are designed using stackable credentials toward advancement. Airbus Helicopters North America celebrates two milestone anniversaries of operations this year. Airbus Helicopters, Inc., based in Grand Prairie, TX, is celebrating 50 years of sales and support for U.S. helicopter operators, while Airbus Helicopters Canada Ltd., located in Fort Erie, Ontario, is marking its 35-year milestone. JSfirm.com, an aviation-only job website with resume database access, recognizes South Avionics Training Center as its newest partner in its job distribution network. Titan Tool Supply, Inc., Buffalo, NY, announces the introduction of its new TVS-35 Series Videoscope to provide remote visual inspection for aviation maintenance; casting and cavity inspection; or diesel and gasoline engine repair. The new quality-control instrument features full 360° articulation using durable Tungsten-braided sheathing that enables easy insertion and bending through complex environments. Sikorsky, a Lockheed Martin company, presents a check for $10,000 to the Make-A-Wish® Foundation. Sikorsky president, Dan Schultz, presented president and CEO of Make-A-Wish Connecticut, Pamela Keough, with the donation from funds raised by the Sikorsky Air Fire Department from T-shirt sales over the 2018 holiday season.